Capricorn Food Products India Ltd, a food processing company get the Securities and Exchange Board of India (SEBI) nod for the ipo worth 171 crore. The company will come up with fresh issue worth 1.71 billion and offer for sale of 76.43 lakh equity shares of existing share holders. 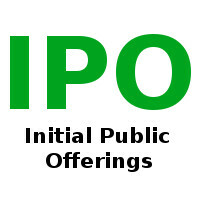 The company filed IPO papers with SEBI in February and obtain observations on April 12. Total of 13 companies got the approval from SEBI this year so far. The lead managers will be IIFL Holdings, ICICI Securities and IDFC Bank. The stock will list on NSE and BSE indices. Capricorn Food Products India Ltd is a manufacturer of Tropical Fruit Pulp, Purees and Concentrates, Bulk Frozen, IQF Fruits & Vegetables and Fruit Juices as per requirements. The company is well known worldwide with their fruit based products. The company incorporated in 1998 and doing business in domestic and overseas. They export products to America, Europe, Asia-Pacific, Africa and the Middle East.